Eastman House’s travel lecture series continues to bring photographers to the masses, this time with Jeffrey Wolin. The museum’s lecture will be followed by a book signing. 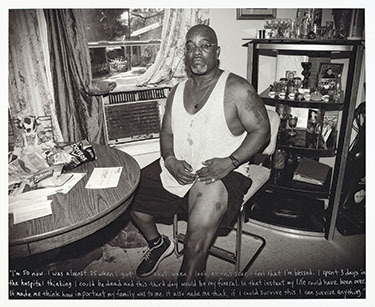 Through image and text, Jeffrey Wolin links person and place with the passage of time. Often focusing his lens on individuals who have experienced hardship, he creates portraits that are distinctly honest and human. He will discuss his recent work, including the series Pigeon Hill Portraits: Then and Now, named for a low-income area of his hometown of Bloomington, Indiana. A graduate of RIT, Wolin is the recipient of fellowships from the National Endowment for the Arts and the John Simon Guggenheim Memorial Foundation. He is represented by June Bateman Fine Art in New York and Catherine Edelman Gallery in Chicago. This one night only event is Thursday, March 20th at 6:00pm.